Natural vegetable and mineral origins make up 99% of this rejuvenating night cream. These work to recover the skin cell regeneration and vitality. 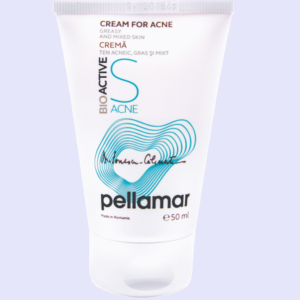 This cream speeds up the natural recovery process of the skin which improve its firmness and elasticity. Activates the regenerative capacity of dermal stem cells which aim to rejuvenate the skin from the deep layer. This achieves increased density and firmness of the tissues, smoothing and toning of the skin and wrinkle reduction. These ingredients work as emollients and aim to protect against dehydration to the skin. It contains natural vitamins which work to protect against harmful factors and work with existing lipids in the skin. Works to target the skins recovery and hydration. ALMOUND OIL, CETEARYL GLUCOSIDE (AND) SORBITAN OLIVATE, BUXUS CHINESIS OIL (JOJOBA OIL), HIPPOPHAE RAHMNOIDES / ALMOUND OIL, MINERAL SALTS AND AMINO ACIDS FROM PELLOID MUD EXTRACT (PELL AMAR), MARINE COLAGENE, BEES WAX, COCOA BUTER, KONJAK GUM, ARGANIA SPINOSA SPROUT CELL (AND) ISOMALT (AND) LECITHIN, TOCOFERYL ACETATE (VIT. E), SODIUM GLUCONATE, ETHYLHEXYLGLYCERINE / PHENOXYETHANOL, FRAGRANCE.